We are committed to protecting your personal information and privacy. This Privacy Statement describes how we collect and use your personal information. Everyone has rights with regard to the way in which their personal data is handled. During our activities, we will collect, store and process personal data about our clients, volunteers and other third parties and comply with the correct and lawful treatment of this data. Your personal data is collected by our staff asking you for certain information when you wish to access our services. This information will be limited to only that which is necessary to assess and meet your needs. 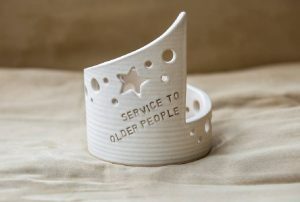 Depending on your requirements, further information may be obtained from a carer or relative for reasons as above. 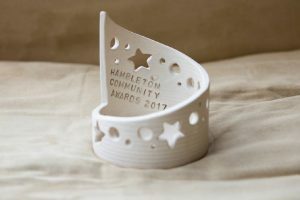 As a Volunteer we require enough information to ensure your suitability for the role you wish to volunteer for and to enable us to contact you regarding your volunteering role. Personal information we collect about you may include your name, postal address, email address, phone numbers, date of birth. We may collect “sensitive personal data” such as health and wellbeing matters about you if necessary to deliver appropriate services. We use the personal information collected from you to ensure that we provide appropriate services and support depending on which of our activities and/or services you wish to use. Under Article 6 of the General Data Protection Regulations (GDPR) our lawful basis for processing and holding personal information is ‘legitimate interest’ as it is necessary for Community Care to use this information in order to provide you with our services. We will only share information with other organisations where we have your permission to do so in accordance with this Privacy Statement or where it is necessary for a legitimate reason connected with the services we offer, or where it is required by law or regulation. Community Care is committed to keeping your personal information safe and secure. Your personal data may be held on our database and /or paper records. Our I.T. Systems are protected with up to date software and computers are password protected. You have the right to request a copy of the information we hold about you. Before we are able to assist with your request, we need you to confirm your identity and what data you require. We are then able to meet your request within 28 days. 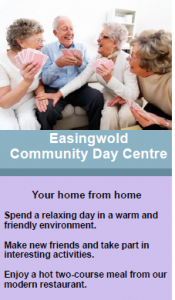 Easingwold District Community Care Association (EDCCA) is a registered charity which seeks to improve the quality of life in the local community and help those in need. 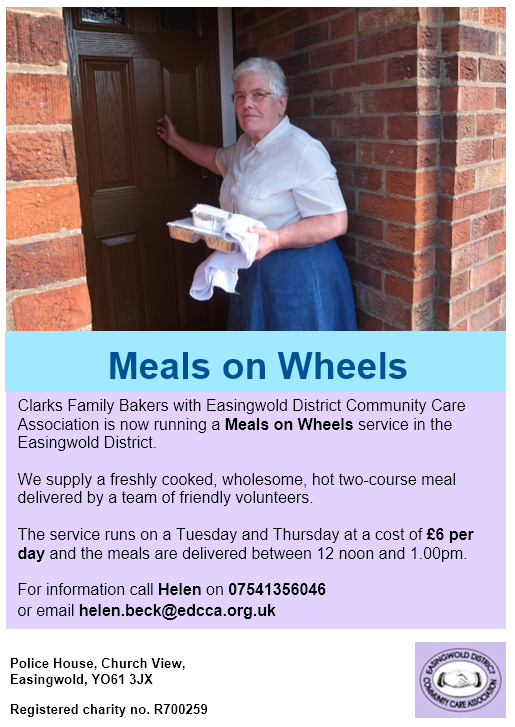 EDCCA has a small professional staff with a team of volunteers and is dependent on grants from statutory bodies, charitable trusts and individual donations. 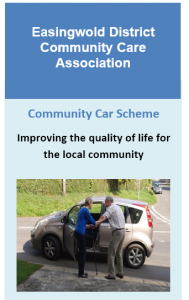 Donations and legacies for the Association can be gift aided and are very welcome. 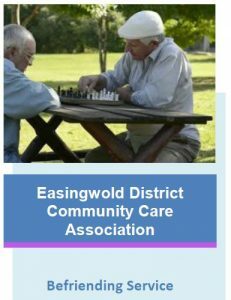 Friends of St Monica’s have agreed to fund two projects which will be run and administered by EDCCA. One – to provide car scheme assistance in the form of pre-arranged daily journeys to and from the York Against Cancer minibus which transports patients to and from the Bexley Unit at St James hospital in Leeds. 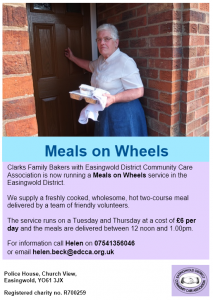 This will benefit people in the Easingwold and District Area who find it difficult to make the journey alone. Indeed using the minibus has helped people share their journey with people who are undergoing similar treatments and can support each other. Passengers in our area will be referred to us by various means including the hospital. Two – A scheme which will support patients being discharged from St Monica’s in the form of up to 6 visits where we will offer practical support whilst the patient is settling back into their home. This will akin to a sitting or befriending type and will be tailored according to individual needs. It will complement any health care support and will be very much client led. 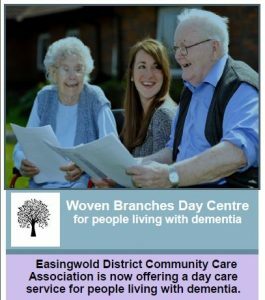 “EDCCA is delighted to be given the opportunity to work with Friends of St Monica’s in this way and look forward to sharing positive news about making a difference in people’s lives over the coming year”.